We reinvent software development for companies and engineers. MVP Factory enables companies of all sizes to build and scale top technology products, combining the best engineers and designers with artificial intelligence and access to the MVPF platform. For our clients we've built over 30 projects in the fields of marketplaces, artificial intelligence and IoT. For our engineers we make the "Future of Work" a reality today. Philipp founded his first company at the age of 16, and after brief stints at McKinsey and J.P. Morgan, he started his career in tech entrepreneurship as VP of Corporate Finance at Rocket Internet. Thereafter, he co-founded Lendico, the world’s first cross-border P2P lending platform. Leaving Lendico in 2015, Philipp started to invest in and support young companies in Berlin and London, including Voya.ai and Redi. In addition, he began advising large corporates on their digitalization and investment activities. 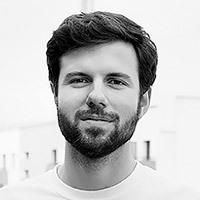 Philipp is a recipient of the Forbes 30 Under 30 award, studied Business Administration at WHU – Otto Beisheim School of Management in Germany, and is a Fellow of the Konrad Adenauer Foundation.